Sundar Pichai said, "We don't run the company by referendum." 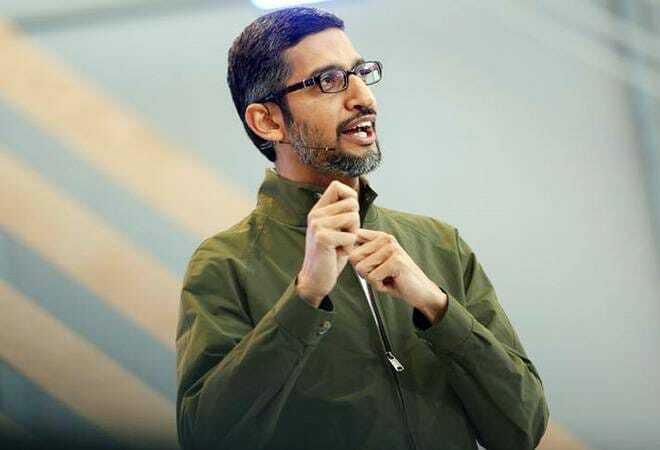 In a conference in New York, Google CEO Sundar Pichai said that there are positive aspects of letting the company's employees protest but that he was still in charge and won't be constantly swayed by staff uprisings. At the conference that was conducted around the same time walkouts were held globally by Google employees, Pichai said, "We don't run the company by referendum. There are many good things about giving employees a lot of voice, out of that we have done well." "At Google we set a very, very high bar and we clearly didn't live up to our expectations," he said, as mentioned in a report in TIME, further adding, "Sexual harassment is a societal problem... We are definitely doing our best." Pichai also said that it might appear to outsiders that the company's internal dynamics is in chaos but it is not as intense as some have characterised it to be. On Thursday, November 1, Google employees globally staged a walkout to protest against the company's response to sexual harassment scandals. The protests followed a New York Times report last week that revealed that Senior Vice President Andy Rubin was given a $90 million exit package after he was accused of sexual harassment. The walkouts took place in batches starting from Asia and moving across Europe and North America and finally at Google's Mountain View, California headquarters. 1. An end to Forced Arbitration in cases of harassment and discrimination. 2. A commitment to end pay and opportunity equity. 4. A clear, uniform, globally inclusive process for reporting sexual misconduct safely and anonymously. 5. Elevate the Chief Diversity Officer to answer directly to the CEO and make recommendations directly to the Board of Directors. In addition, appoint an Employee Representative to the Board. Rubin denied the allegations and said that reports about his exit package were "wild exaggerations".